By now I expect you’ve heard of Google Authorship; it’s been a long time coming, since Google filed a patent back in 2005 which it dubbed “agent rank”, but it’s finally here and many are attempting to take advantage of the chance to really get their voice heard. Whilst agent rank may have been a long time in the making, the arrival of Google+ means that the “metric” resembles authorship remarkably today and as we evolve into a more social internet, it’s all the more important to establish yourself as an expert in your field in order for your site to be ranked higher. This is because Google trusts sites that it knows the most about and so when it knows ‘who you are’ it can better position you in the rankings. This is, for the most part, also to reduce spam; those who Google can see know their stuff means that they will have more value in search. An important aspect to Google Authorship is to provide a good headshot of yourself as a Google+ user. If your photo isn’t showing up in search results then it’s likely that it’s because Google doesn’t think your photo is “worth looking at”, to borrow a phrase from Barry Schwartz of Search Engine Round Table. Your photo should be a good headshot, not one with you gooning about or pulling faces or is taken from a distance so that you’re not recognisable. The importance of an author is also determined by how valuable Google sees the content as being; so, the more social shares, comments and so on, then the more important the content is seen to be. “it would be useful if we had strong identity so we could weed [spam] out,” he said at the time. The emergence of G+ has given Google the opportunity to build a huge database of users, rather than just random, anonymous searchers. This means that they can now identify authors from the social network and rank them accordingly; great news for sites and writers alike. “Author Rank will be every bit as major of a metric as PageRank is today, and the two signals will work in tandem to largely determine where you’ll place in the SERPs going forward (among other factors, of course)”. 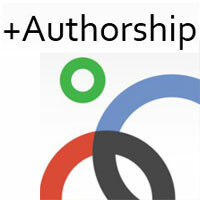 -Link your content to your G+ profile if you don’t have an email for the domain you’re published on. -Everything you publish should have your byline and this should match your G+ name exactly as it appears on your account, without this, Google can’t recognise you as the author. However, you will still have to ask the domain webmaster to include your byline and Google authorship in the metadata of the post. Google authorship is the way forward for search marketing and we would strongly suggest you get in on the act as soon as you can. After all, the quicker you are off the mark, then the sooner you can establish both yourself as an author and your site as authoritative before the competition. Unless of course the content isn’t really up to the job, but we’d doubt you’d be reading this if that was the case. Need help with your search engine optimisation? Hire us for SEO services.